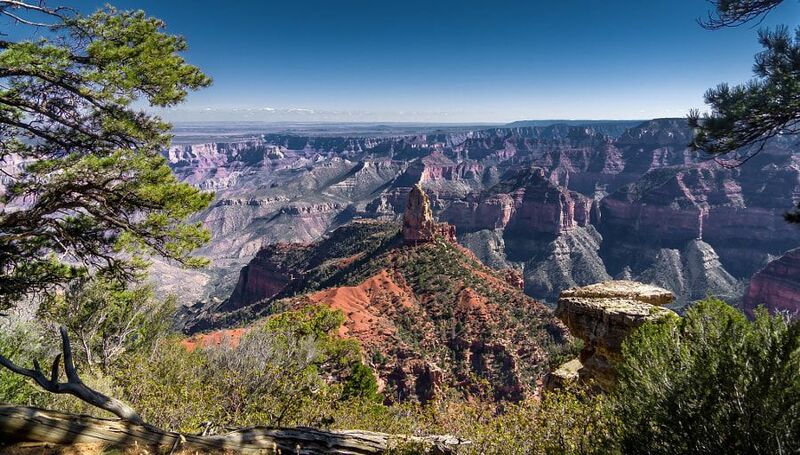 Point Imperial – North Rim – by Pat Kofahl - Together, We Make Memories! Point Imperial, the highest point on the North Rim at 8,803 feet (2,683 meters), overlooks the Painted Desert and the eastern end of Grand Canyon. Here the canyon transforms as the narrow walls of Marble Canyon, visible only as a winding gash, open dramatically to become “grand.” Layers of red and black Precambrian rocks, not visible at Bright Angel Point, add contrast and color. Part of the viewpoint is accessible. – NPS. This fine art image by Pat Kofahl is available in multiple sizes on paper, canvas, metal and plexiglass. Prices start at $49.00!